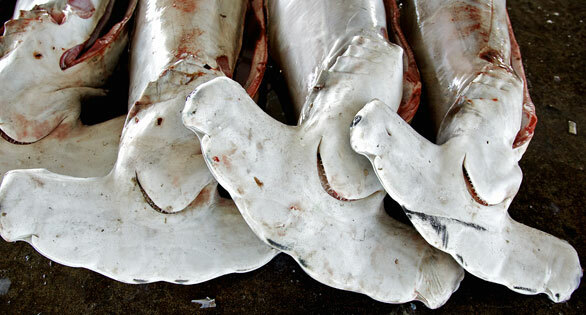 BANGKOK Five species of oceanic sharks along with two species of manta rays will now be subject to international trade regulation under the Convention on International Trade in Endangered Species of Wild Fauna and Flora, or CITES, a move that some shark advocates hope could save these threatened species from total collapse. 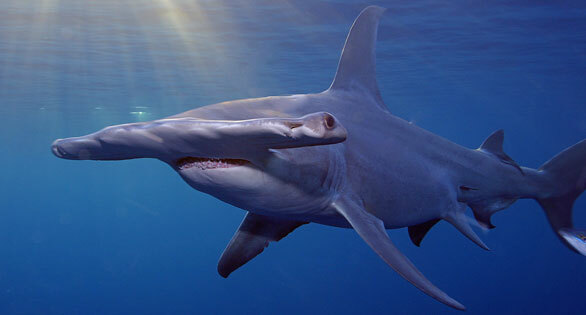 The required two-thirds of the 177 CITES member governments voted to protect these animals, the Oceanic Whitetip and Porbeagle Sharks, three species of hammerhead sharks, and two species of manta rays‚ marking an increase in the number of sharks protected by CITES from three to eight species. 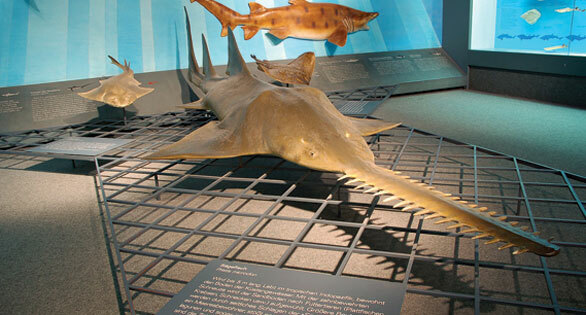 The Freshwater Sawfish, Pristis microdon, or “Sawtooth Shark,” is actually the member of a small family of rays and is found in fresh water and brackish waters in the Indo-Pacific and Australia. The presence of healthy shark populations has been found to be a key bioindicator of the health reef ecosystems, including corals, herbivorous fishes, and food webs. CITES has been the subject of intense criticism for its unwillingness to protect other large oceanic species, such as the Bluefin Tuna, that are heavily exploited for food fisheries. “Today was the most significant day for the ocean in the 40-year history of CITES,” said Susan Lieberman, director of international environment policy at The Pew Charitable Trusts who have expended vigorous efforts to establish protections for these species. Lieberman added that the gridlock created by those who oppose such controls has been broken. 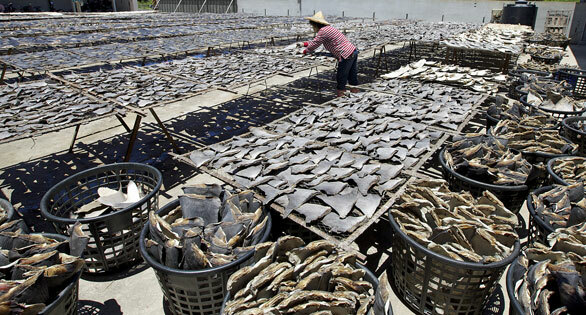 Sharks are primarily traded to Asia for use in shark fin soup. 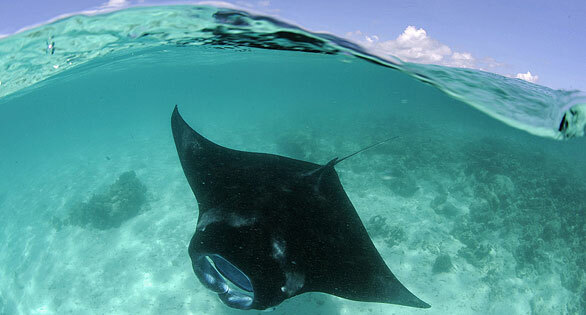 Manta rays are caught and killed for their gill rakers‚ the part used to filter their food from the water, to make a purported Asian health tonic. 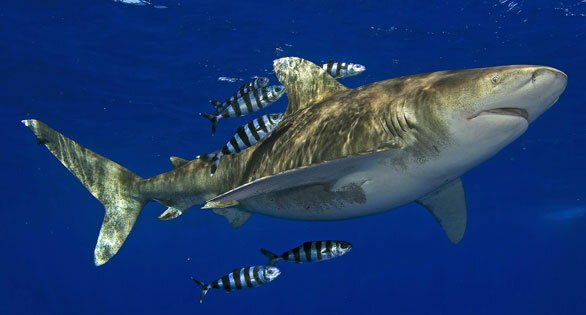 Pew added that this commitment by the global community to shark conservation needs to be fully implemented and enforced, and it should be coupled with national and regional efforts to ensure a sustainable future for these and other top oceanic predators, all of which are critical for the health of the wider marine ecosystem. Fisheries biologist Dr. Daniel Pauly and others have documented the fact that an estimated 90 percent of the world’s large marine predatory species (sharks, tuna, swordfish) have been depleted, and fishing efforts are being focused on ever-smaller forage fishes, such as herring, anchovies, and sardines. “We are eating bait and moving on to jellyfish and plankton,” says Pauly, of the Fisheries Centre at the University of British Columbia in Canada. According to the International Union for Conservation of Nature, 143 shark species are threatened with extinction, but few management measures exist to protect them. From materials released March 12, 2013 by the Pew Charitable Trusts Environmental Initiatives.